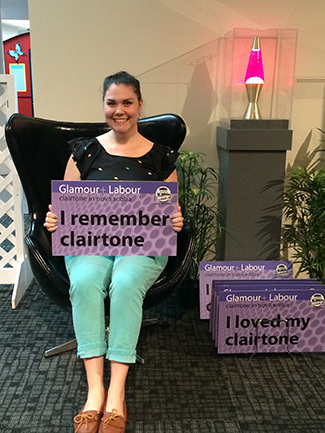 Clairtone – a name that brings a warm smile or a disapproving frown to baby boomers who recall this phenomenon of the 1960s. 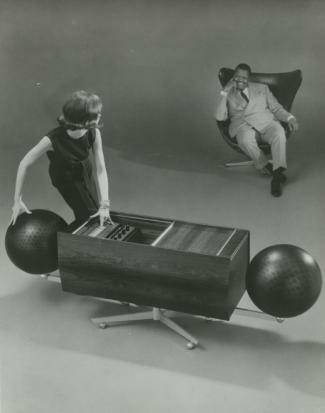 A bold, innovative, and ultimately controversial Canadian company based in Toronto, Clairtone broke into the American market in the late 1950s with superb stereophonic sound flowing from sophisticated cabinetry. Building on its initial success, the company set itself apart when it introduced the Project “G” in 1964. 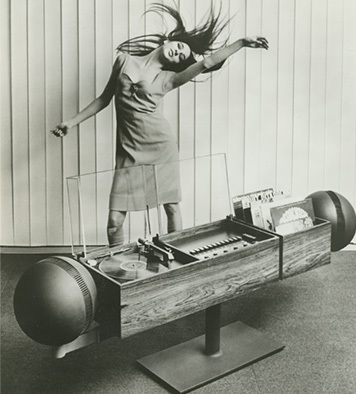 Emblematic of the 1960s’ space age, trendsetters had to have a Project G. Clairtone was challenged to keep pace with its skyrocketing success. More models were introduced and sales increased from $60,000 in 1958 to more than $11,000,000 by 1965. Few Canadian companies had achieved this kind of brand recognition in America. 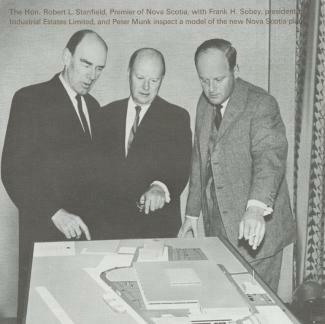 Clairtone President Peter Munk (right) shows Premier Robert L. Stanfield (left) and IEL President Frank H. Sobey the plans for the new Clairtone factory. Nova Scotia Archives scan 201600321. Self-described as “active, ambitious, growing, and looking to the future”, Clairtone’s efforts to be vertically integrated and to increase production brought it to Nova Scotia. The Nova Scotia government offered the company a state-of-the art facility designed and built for its needs. Clairtone President Peter Munk described the 7-acre factory as “a showpiece of design excellence embodying every modern aid to efficiency”. It was laid out in the following divisions: Television, Electronic Chassis, Cabinetry, Final Assembly, Research Laboratories, Offices, Warehouse Facilities. 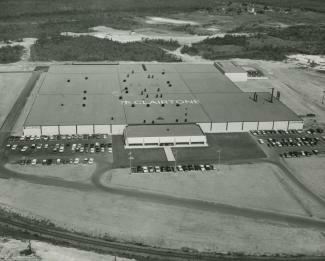 Unintentionally, Clairtone and the Province of Nova Scotia created the largest furniture manufacturing plant in Canada. Clairtone Stellarton, 1966. Nova Scotia Archives scan 201600122. In addition to manufacturing 20 models of console and G series stereos, Clairtone announced it would build colour television sets in Stellarton. Colour TV was new and Clairtone had no previous experience building black and white sets. 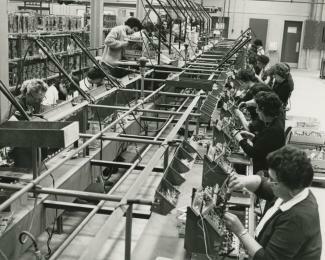 On the 50th anniversary of the opening of the factory in Stellarton, Pictou County, Nova Scotia, we are revisiting the excitement and promise, the experiences and drama of Clairtone Stellarton. Drawing on the memories and technical knowledge of former Clairtone employees, the exhibit offers an understanding of what it was like to work in the electronics industry in the 1960s. From the historical record, ideas are offered to explore why this promising venture quickly crumbled. 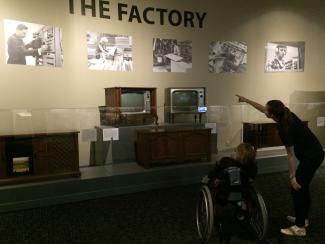 See a variety of the stereos and colour televisions manufactured by Clairtone at its Nova Scotia factory. Join us for an excellent photo op. This exhibit was made possible by funding from Support4Culture, a designated lottery program of the Nova Scotia Provincial Lotteries and Casino Corporation.